celebrate an industry icon in a way that was anything but expected. to change the world again. 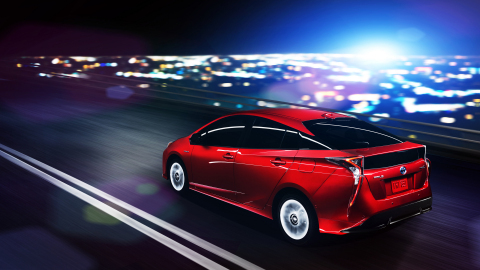 strengthening Toyota’s leadership in hybrid fuel efficiency. impressive MPG, in a vehicle that’s more fun to drive than ever. Bill Fay, group vice president and general manager, Toyota Division. longer and sleeker with the overall outline evoking an athletic shape. The hood is lower and the distinctive roof peak has been moved forward. upper crease morphs into the rear spoiler, which has been lowered. rear spoiler to the trailing edges of the sides. improved visibility put the driver in complete control. the lower sections of the cabin is reminiscent of fine bone china. a planted on-road presence while delivering more occupant and cargo room. sports car – a remarkable achievement in height and mass reduction. available across nearly the entire vehicle lineup by the end of 2017. 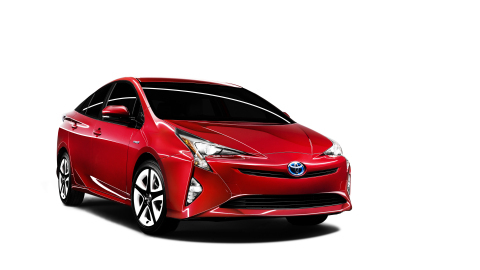 Prius will arrive in dealerships early next year.